 CerTest Shigella one step card test is a coloured chromatographic immunoassay for the qualitative detection of Shigella spp. (S. dysenteriae, S.flexneri, S. boydi, S. soneii )in stool samples and Shigella suspected colonies in stool culture. 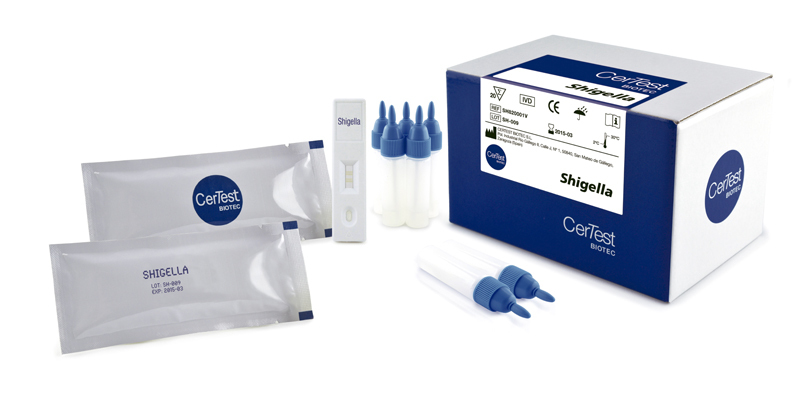 CerTest Shigella card test offers a simple and highly sensitive screening assay to make a presumptive diagnosis of Shigella infection (shigelosis) and it could be used to identify of suspected isolates of Shigella from selective media (stool culture). The four species of the genus Shigella; S. dysenteriae, S. flexneri, S. boydii and S. sonnei cause a wide spectrum of illness from watery diarrhoea to fulminant dysentery. The low infectious inoculum, as few as 10 organisms, render Shigella highly contagious. Shigellosis therefore occurs as an endemic disease in populations characterized by over-crowding, poor housing, poor sanitation and inadequate water supply. The predominant serogroups of Shigella occurring in a region also appears to be related to the socioeconomic development; and evidence also indicates that the severity of shigellosis is related to the infecting serogroup. For example, S. dysenteriae type 1, also known as Shiga bacillus, has been recognized as the major cause of epidemic dysentery for nearly 100 years. Pandemics of Shiga dysentery have spread across Central America, Bangladesh, South Asia and Central and East Africa.